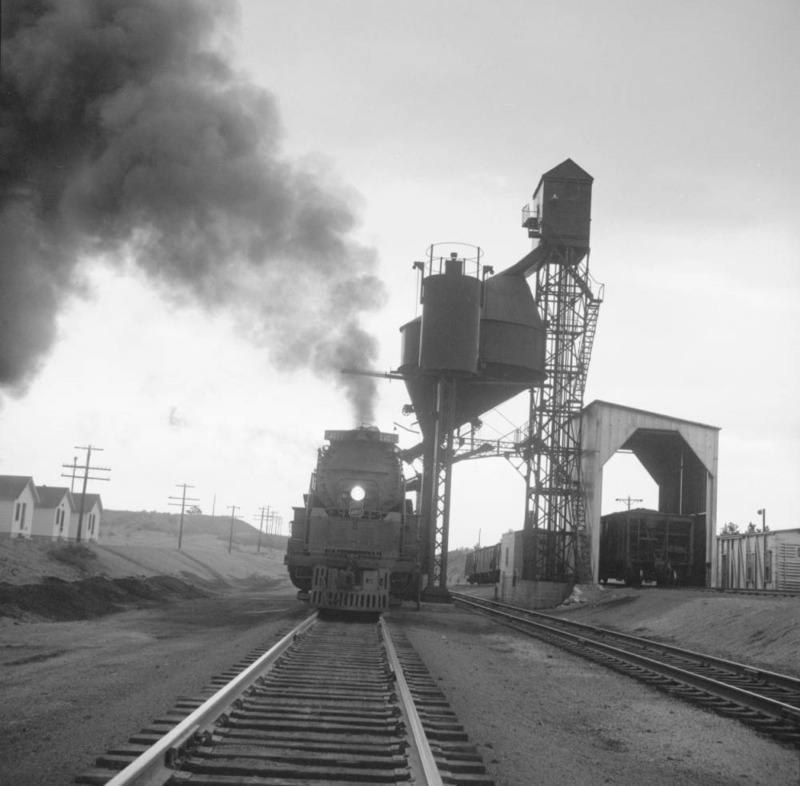 Fairbanks-Morse, Ogle Engineering and Roberts & Schaefer were the 3 major builders of coaling stations. They would bid to build complete coaling stations or to provide the machinery for homebuilt facilities. Below is a photo of the Ogle 150 ton steel tower at Harriman, WY. Ogle developed the designs and patents for these "modern" looking steel towers during the WWI era, and by 1921 a fair number of these towers were in service on railroads around the country. The capacity of these towers ranged from 150 to 500 tons, although there were a few 75 ton towers as well. I don't know if Ogle was invited to bid on the towers at Chama, Gunnison and Durango, but if they had been selected to build these towers, the tower at Chama could have been a steel tower like this. Also, it should be noted in the photo that the Harriman station had an Ogle patented sand bin (the small vertical cylinder in front of the coal bin). Edited 1 time(s). Last edit at 12/29/2018 11:04AM by Jim McKee.